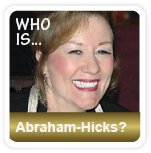 What is Hypnotherapy? Can a Hypnotic procedure help you? Hypnotherapy takes its name from hypnosis, a process in which someone enters a trance, emerging from the procedure with an altered perspective from their outlook prior to the sessions. 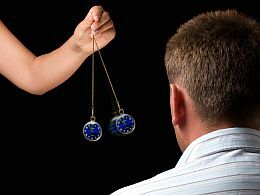 Patience should be taken with hypnosis, although the timeline one should expect is not entirely different from that of other psychotherapeutic processes; patients typically see positive results after several 1-2 hour sessions. Throughout history, there have been many forms of hypnosis, which have been used for everything from treating physical maladies to religious processions. Hypnotherapy developed early in the 20th century, as doctors began to realize that even in the absence of medication, they could alter someone’s mental outlook on life using hypnotic procedures. Hypnotherapy works through a series of relaxation processes intended to soothe the patient. After becoming sufficiently relaxed, the patient engages in exercises that incorporate the subconscious mind—this often involves the patient reentering the situation or predicament that has produced their anxieties. It is important to note that hypnotherapy differs in important ways (and should be used for patients with different symptoms) from individuals who need greater motivation. Where a procedure like affirmation works to stimulate the patient, hypnotherapy enervates the patient and will soothe the patient rather than energize them. See Hypnotherapy videos below. Hypnotherapy is used for people who are tense and exhibit great anxiety. This includes individuals who cannot get their mind off of an event. It is also commonly used for people who have free-floating anxiety whose source they cannot locate. People who suffer from phobias, asthma, addiction, or post-traumatic stress disorder have been shown to have benefited from hypnotherapy. For example, a patient with an acute fear of going to the dentist might receive hypnotherapy before their dental appointment, with would effectively produce an analgesic effect that would relax the patient’s nerves to the point that they could willingly undergo their appointment. Individuals who suffer from post-traumatic stress disorder and involuntarily reenact traumatic events commonly benefit from hypnotherapy. Oftentimes this includes individuals who may have consciously repressed traumatic occurrences but subconsciously cannot overcome their anxieties. The procedure has commonly been employed in people who have fought in wars and keep reliving traumatic episode in combat. For example, an individual who witnessed a friend die in combat might receive hypnotherapy to overcome the painful memory; the session would involve the patient reenacting the experience, but in such a way that they would no longer be steeped in guilt. The key to remember is that hypnotherapy involves the patient subconsciously reenacting past events, using the subconscious to free the conscious mind. Hypnotherapy helps the patient overcome lingering anxieties that they are unable to eradicate while in a conscious state. The varied symptoms that hypnotherapy can overcome make it applicable to a wide variety of individuals, and an additional benefit is that it does not involve any medication, so there are no pharmacological side effects to be taken into consideration. 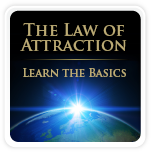 The Law of Attraction doesn’t work for my Health – Why?? ?